A few weeks ago, we dropped a post talking about some of our favorite sandals at different price points. Now, we have another slide on the market that’s giving us a luxe update to one of our favorites. 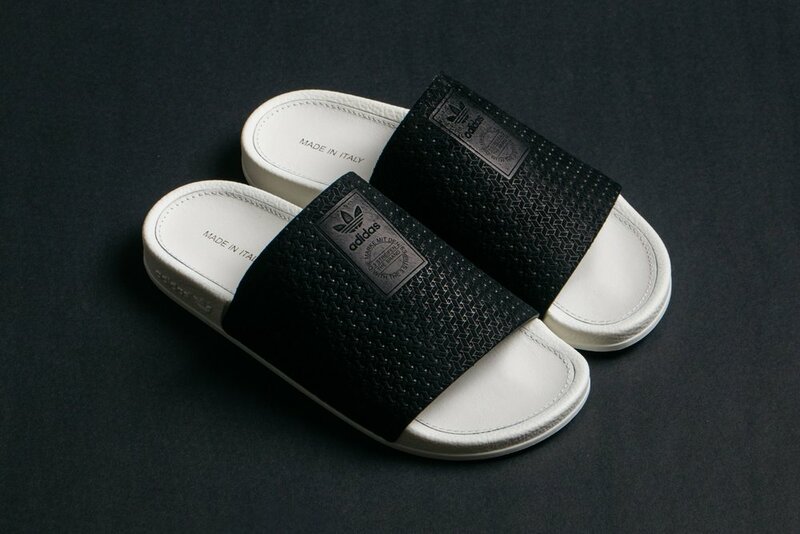 The new adidas Adilette Luxe features premium suede strap, leather footbed and adidas branding. These babies are also made in Italy and $75 USD which isn’t too bad for a premium sandal. If you’re feeling these you can grab them now online at Livestock. We’ve also included a few more options below too. It’s almost sandal season y’all. Another week another drop from Vans and this time they’re collaborating with London fashion designer Ashley Williams, she reimagines four of Vans Classic silhouettes. Williams living and breathing skate culture inspire this new collection and you can see it throughout each model she decided to showcase her style. Starting with the Era the multi-panel sneaker showcases custom jug print across the upper and hell is juxtaposed by pink and black graphic zebra print. The Vans Authentic features a custom “A” emblem on the top eyelet and Vans x Ashley Williams laces while the Vans Style 93 includes a crazy tiger printed canvas uppers with tonal black lugged outsole with an “A” metal eyelet detail and buckle. Last but certainly not least is the Classic Slip-On which includes a newspaper print upper. The Vans and Ashley Williams collaboration is available online now and select Vans retail stores.